Malayalam film director Rajesh Pillai passed away today, February 27 at 11.45 am. Rajesh Pillai was 41 and he was suffering from liver cirrhosis. The filmmaker was admitted to PVS hospital in Kochi on 25 February and immediately put on the ventilator. Rajesh Pillai breathe his last breath in the hospital. 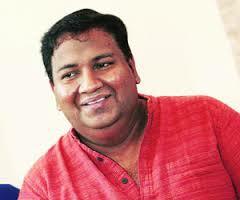 Rajesh Pillai was known for his off beat films like Traffic and Mili. Last film of Rajesh Pillai is Vettah and the film is released on 26 February.Rajesh Pillai has directed total five films. He made his directorial debut in year 2005 with film Hridayathil Sookshikkan. Rajesh was hospitalised several times in the last few months due to ill health and during the final sound mixing for film Vettah, he had also contracted pneumonia and that worsened his health.